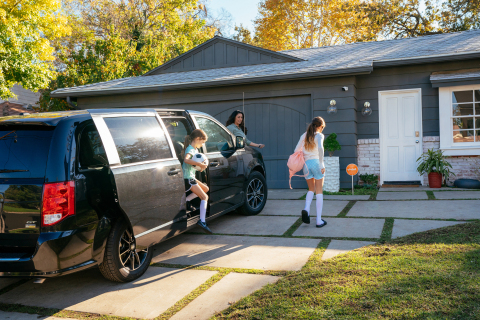 Vivint Smart Home, a leading smart home company, today introduced Vivint Car Guard, a first-of-its-kind service that allows homeowners to manage the security of both their home and car with a single app. Vivint Car Guard provides peace of mind with the ability to monitor the security, location and diagnostics of your car from anywhere. Integrated into the Vivint Smart Home app, Vivint Car Guard will send notifications if your car is bumped, towed or stolen. Many households regularly park at least one car outside the garage, but cars parked in driveways, parking lots or on the street are vulnerable, even if equipped with car alarms. In the U.S., thieves steal a car every 41 seconds, resulting in nearly 800,000 stolen vehicles per year. With a connected home and car, you can customize your Vivint smart home to turn on lights and record video using outdoor cameras if anyone disturbs the vehicle in your driveway. Vivint Car Guard can also trigger your smart home to turn on/off lights, lock up, close the garage door and arm your system when you drive away. The Vivint Car Guard device is easy to install into the standard onboard diagnostics port (OBD-II) under the dashboard of most cars. Vivint Car Guard is powered by Mojio, the leading platform and SaaS solution provider for connected cars. In addition to monitoring the security of your car, Vivint Car Guard helps you locate your car or loved ones with GPS tracking of your car’s location and travel direction. You can create geofences around important places, such as your home, office or school, and receive notifications when your car enters or leaves these areas. Vivint Car Guard also monitors your car’s health and safety, providing reminders for regular maintenance, as well as notifications about mechanical problems and recall information. Parents and guardians can help keep new drivers safe with smart driving analytics, including trip history, hard stops and rapid accelerations. IoT Breakthrough recently named Vivint Car Guard its “Connected Car OBD-II Solution of the Year” for 2019. An independent organization that recognizes leaders in the global Internet of Things market, IoT Breakthrough selected winners from more than 3,500 nominations across multiple categories. You can purchase Vivint Car Guard along with a Vivint smart home system for integrated home and car security, or separately as a standalone service. Pricing starts at $199 for the Vivint Car Guard device and $9.99/month for service. For more information about Vivint Car Guard, visit https://www.vivint.com/car-guard.